The weather has been growing steadily cooler over the past few weeks, and that’s only going to continue as fall turns slowly to winter. If you’re a homeowner, you’re probably running your heating system more and more often until you have need of it all hours of the day. That makes now the perfect time to check your furnace or other heating system for signs of trouble. If a potential issue needs to be addressed, spotting it now gives you the time to schedule proper repairs before winter starts: keeping you from having to deal with any nasty surprises when you really have need of your heater. That said, you should never attempt to formally diagnose a problem with your furnace, much less attempt repairs. Many symptoms have multiple possible sources and it requires formal training to correctly diagnose which one is affecting your system. Furnaces also require proper training and licensing to repair, since most use gas as fuel sources (which could leak) as well as other potentially dangerous components. That said, you can still spot the basic signs that something is wrong, and call in a repair service without having to diagnose it. Anything that doesn’t correspond to your system’s normal use should be seen as a sign of trouble. When you notice them, turn off your system – even if it’s currently running – and call a professional. Doing so will prevent any damage from spreading and will likely lower the cost of repairs as well. Lower Heat Levels. You can probably figure out that the furnace needs repairs if it only blows cold air, but the same holds true if the air is warm but not quite as warm as you’re expecting. The trouble could stem from clogged burners, a breach in the ducts, or a lack of fuel among other issues. Low Airflow. A blockage in the ducts can reduce the flow of air through your home, as can a problem with your fan or fan motor. You can spot this by noting any reduced airflow in your vents. Both lowered heat levels and lowered airflow have the same effect on your heater: forcing it to run more to warm your home, and raising both monthly rates and the chances of a more serious breakdown in the future. Strange Noises. A strange noise means anything you don’t immediately identify as a normal part of your heater’s functioning: anything from hums to groans to rattles and whistles. 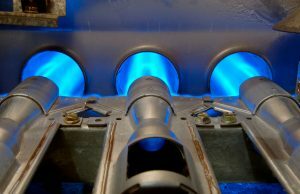 In most cases, the noises will start and stop with the starting and stopping of the furnace itself. Higher Bills. Sometimes, the problem won’t show any overt signs, but will force the malfunctioning component to use more energy to do its job: driving your monthly rates up even when you haven’t used the system any more often than normal. If you suspect that the heating system in your New Albany, OH home needs repairs, call the pros at Quality Air Heating and Air Conditioning.